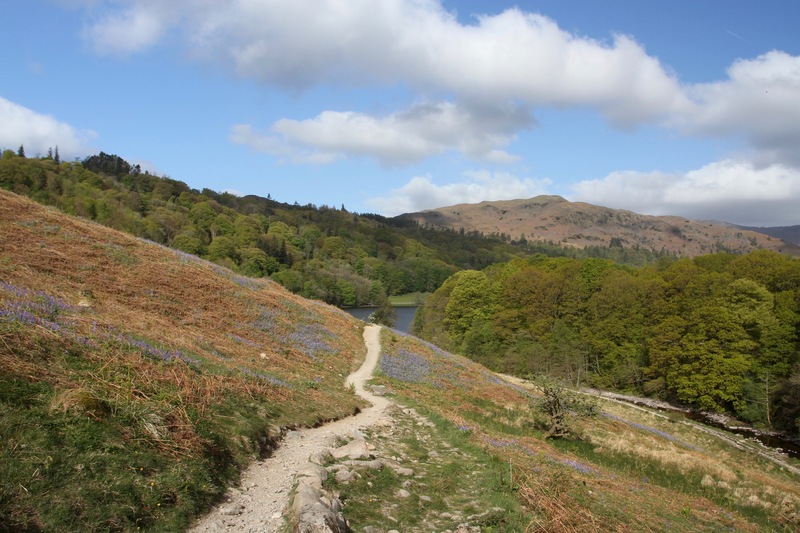 The Vale of Grasmere and nearby Rydal Water are two of the most picturesque places in the Lake District, itself famous for its picturesque landscapes. 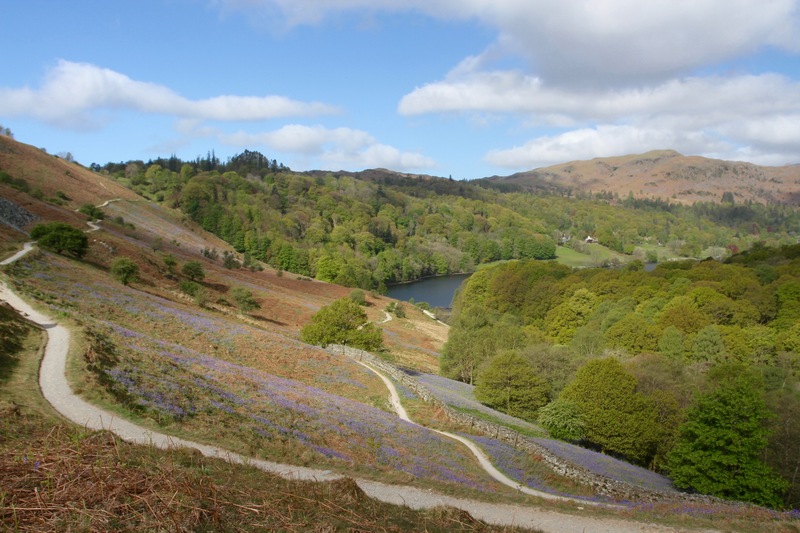 Grasmere, though, is more than just beautiful views to me. It’s a place I lived and worked for two years, a place I grew to love. 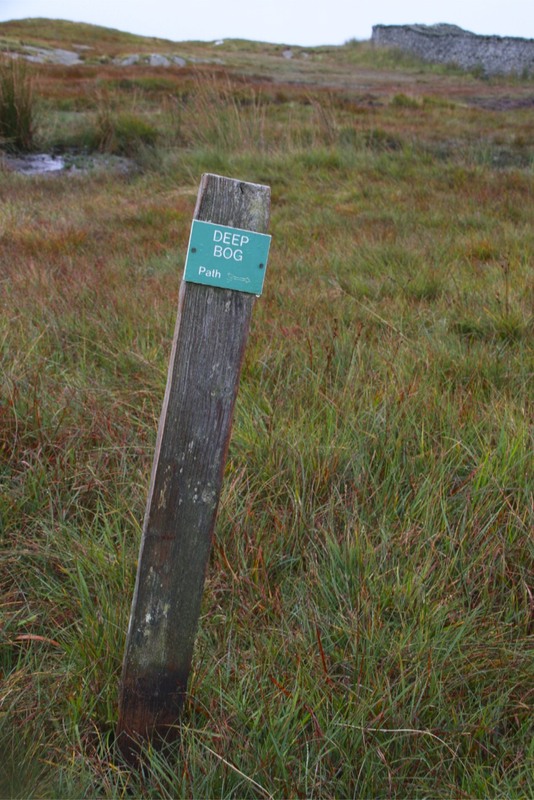 I’ve walked the fells around here countless times, swum in the lakes and tarns, hiked to neighbouring valleys to go to the pub, and watched sunsets and sunrises from the mountain tops. 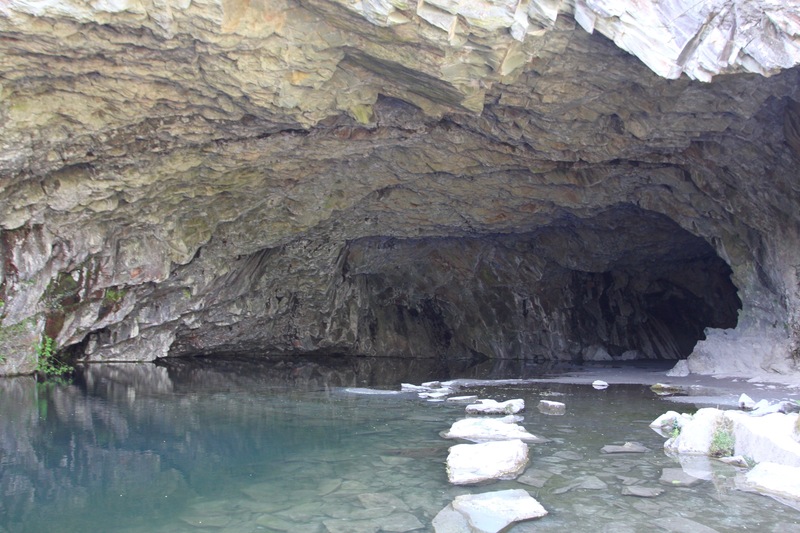 It’s a special place, and somewhere to which I was happy to return. 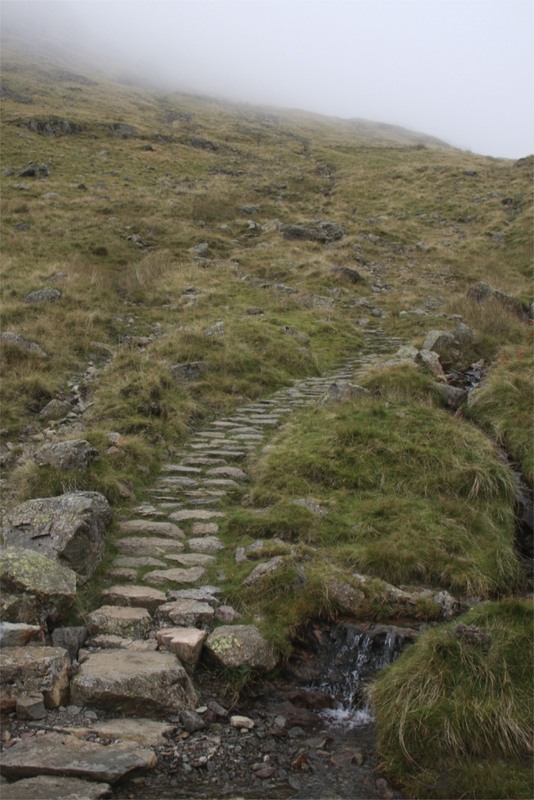 The day after cycling the Fred Whitton Challenge though, I was less happy to climb any mountains. 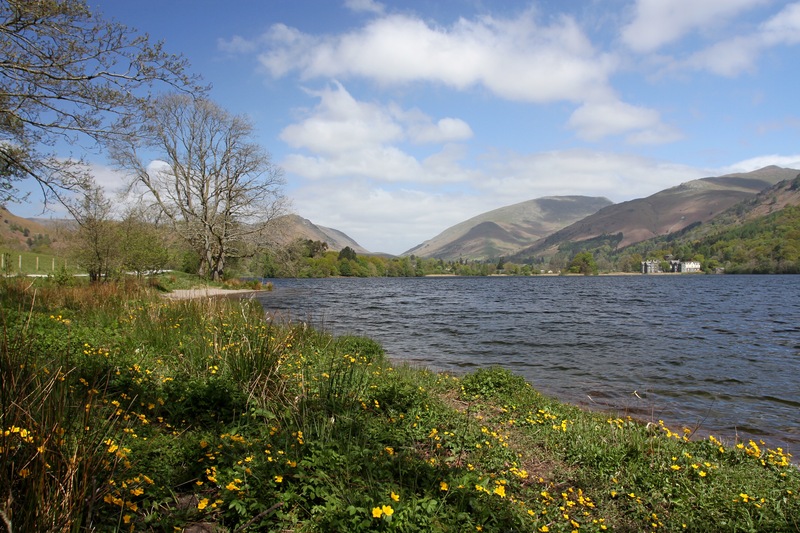 I opted instead for a gentle walk around the two lakes, a route I’ve covered more times than I can remember. 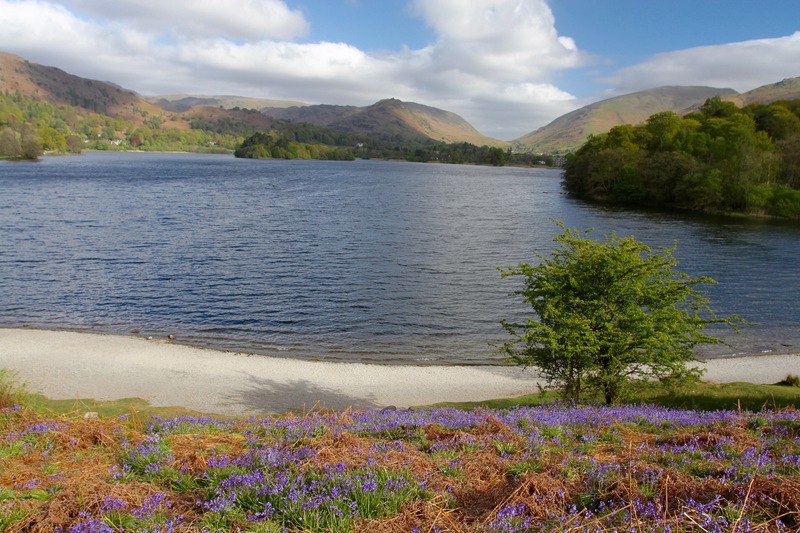 I grudgingly have to agree with Wordsworth, who proclaimed Grasmere “the loveliest spot that man hath ever found.” At least if you can visit outside of the tourist season. 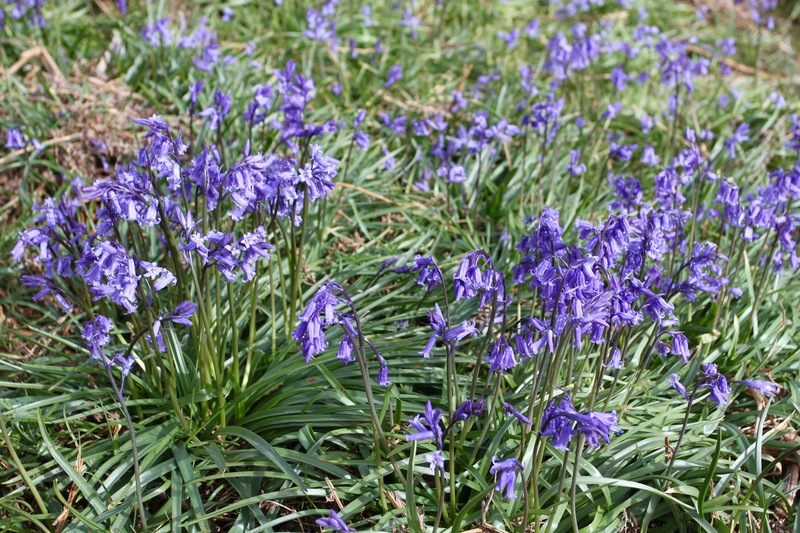 I’d forgotten about the bluebells that carpet the lakeside and woodlands at this time of year; how the rich greens of the hills merge with the browns of the dying bracken; and how the sun illuminates distant hilltops like a spotlight as the clouds move across the sky. 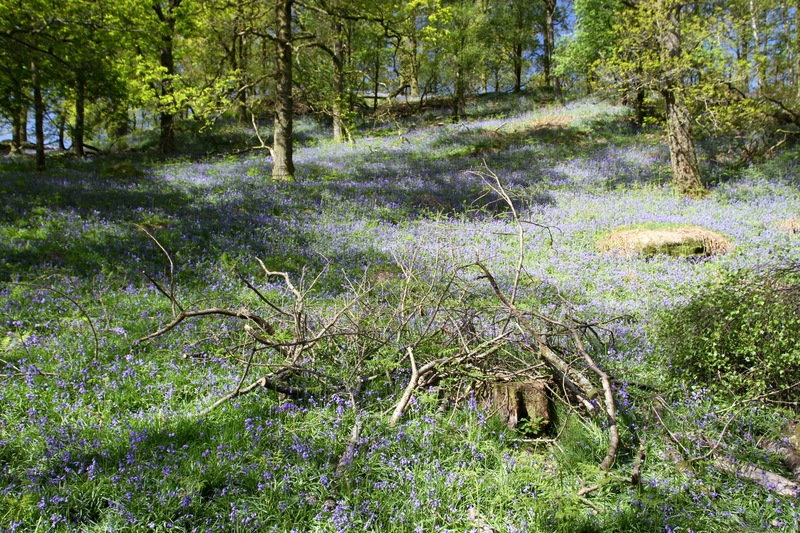 I’d also forgotten just how invigorating it is to walk in such magnificent countryside without a care in the world. 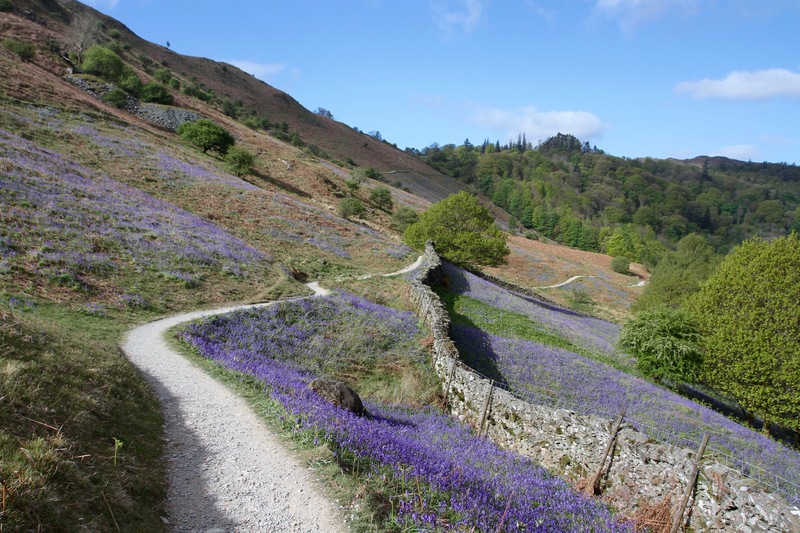 Wordsworth, of course, took inspiration walking these very same paths. 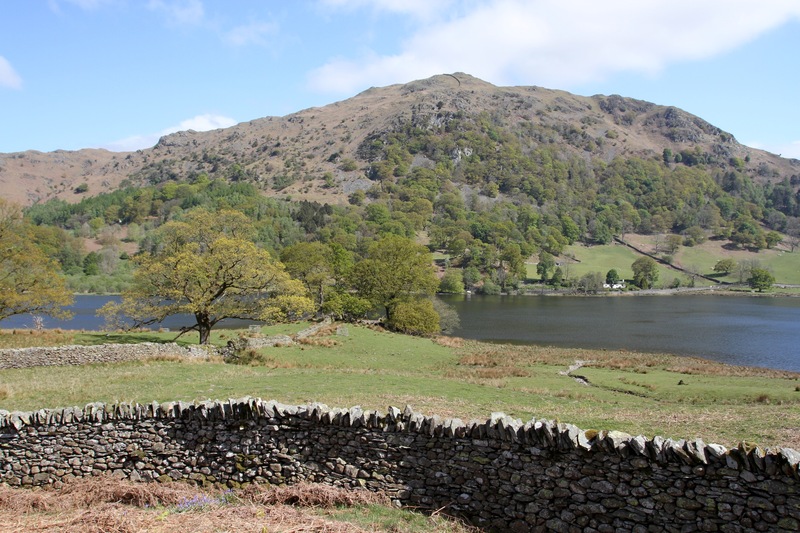 He lived his younger, most artistically creative years in the hamlet of Town End on the edge of Grasmere; and he spent his less productive, but more famous later years, at the much grander Rydal Mount at the southern end of Rydal Water, by which time he was Poet Laureate. His friends and fellow poets, Samuel Taylor Coleridge and Robert Southey, frequently spent time here as well. 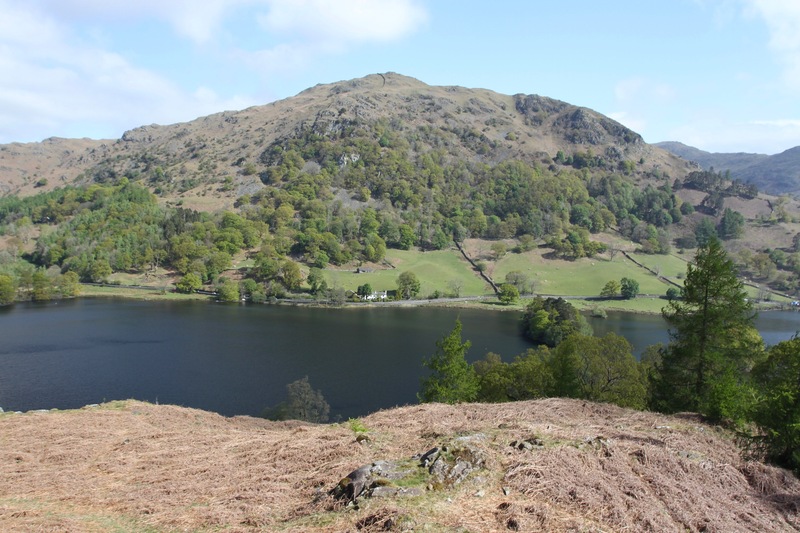 I walked from Grasmere village along Grasmere up onto the ridge overlooking Rydal Water. This was always one of my favourite spots. 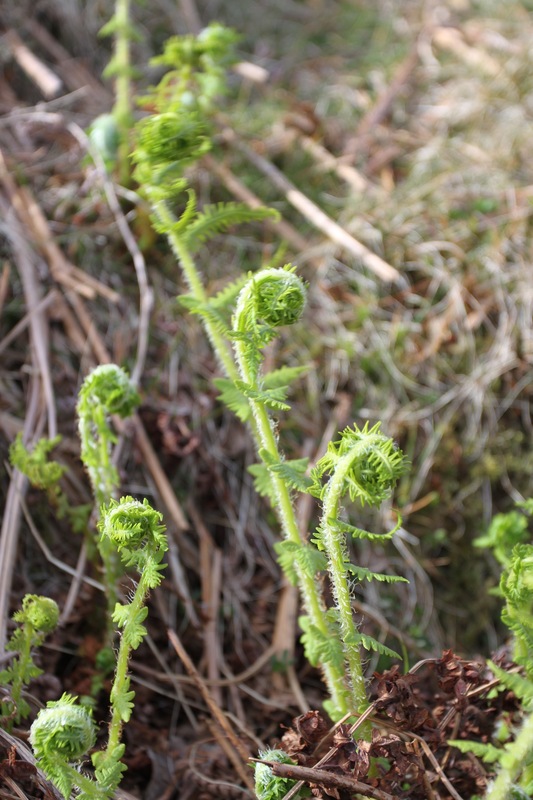 The views are achingly beautiful and, nestling underneath the hulking mass of Nab Scar and Heron Pike, the whitewashed Nab Cottage, former home of Coleridge’s eldest son Hartley, glowed in the sunlight. I stood here for some time drinking in the views. 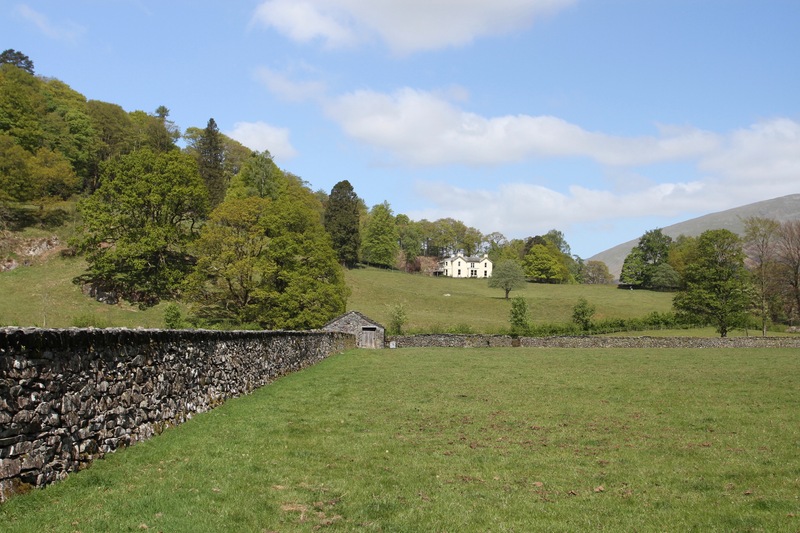 Nab Cottage was also home to Thomas De Quincey, another member of the strange literary group centred on Wordsworth that descended upon this remote part of England. De Quincey is best known for his autobiographical Confessions of an English Opium-Eater, which relates his laudanum addiction. Laudanum, a sugary opium drink, was regularly used as a medicine. Even Wordsworth took laudanum. 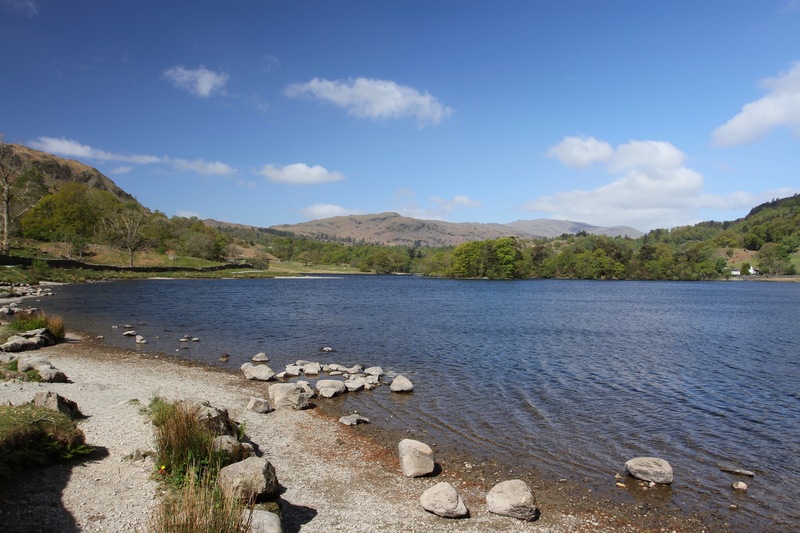 Dropping down to Rydal Water, I walked along the shoreline until I came to a small woodland that brought me to the River Rothay. 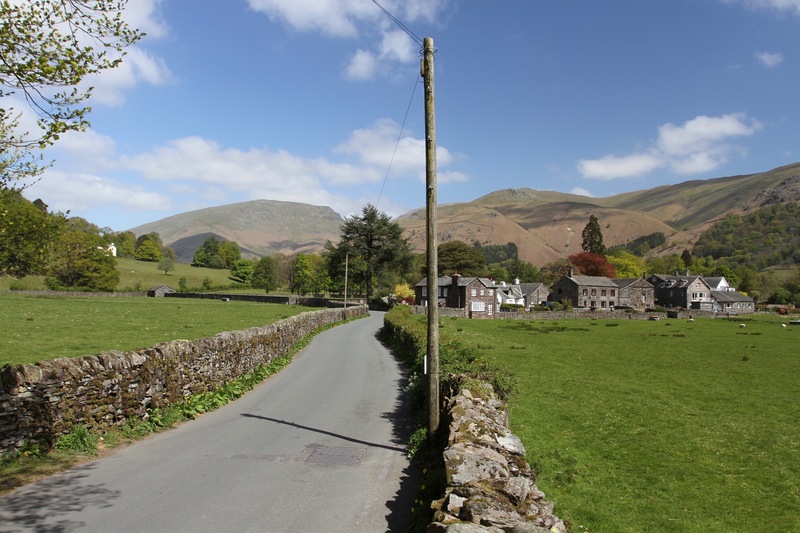 The Rothay flows through Grasmere village, and connects Grasmere and Rydal Water. 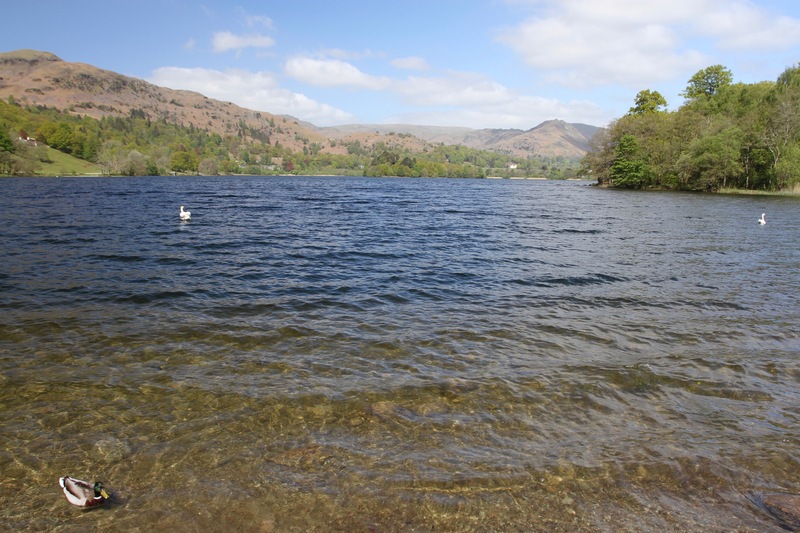 I finally made my way along the shore of Grasmere under a hot sun. Back in the village I reckoned I’d earned a lazy lunch. 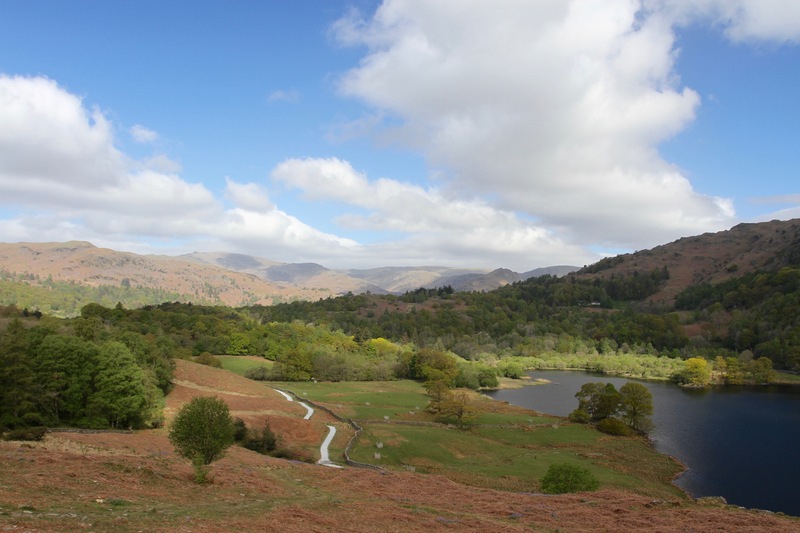 The Fairfield Horseshoe is one of my favourite walks in the English Lake District. 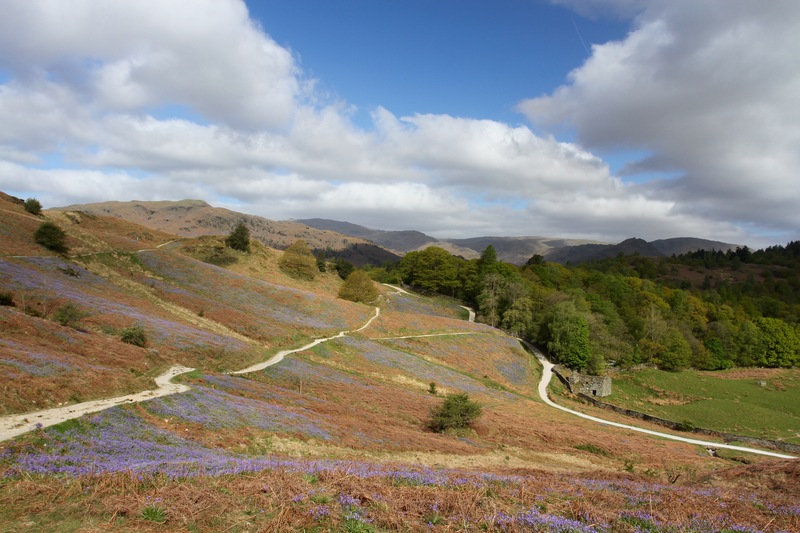 In the heart of the Lake District National Park, it is a near perfect hill walk around a horseshoe-shaped route which towers over the valley below. 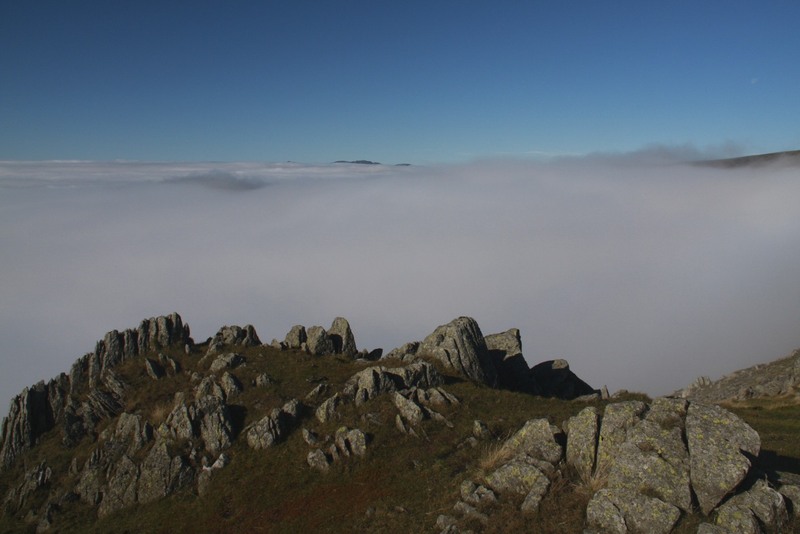 Starting from the bustling village of Ambleside, you climb upwards over Dove Crag and Hart Crag, before finally walking the last few yards up to the summit of Fairfield. 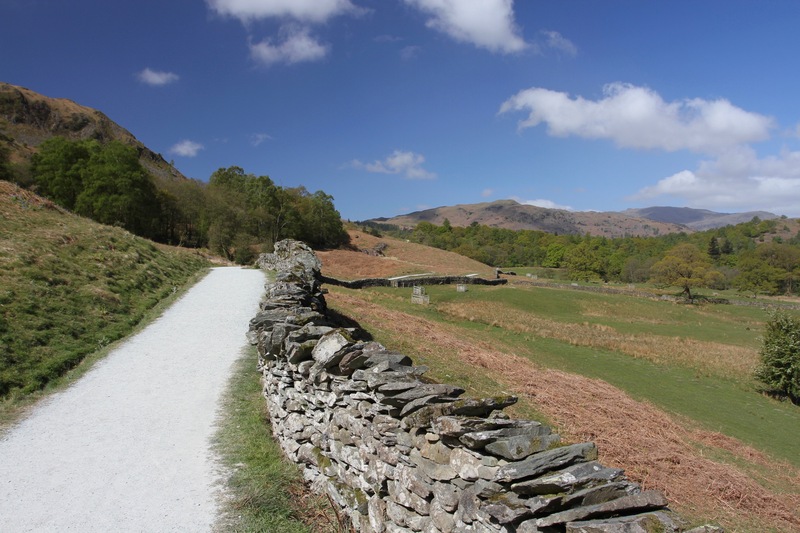 On the way back down, once you’re over Great Rigg, you can descend into either the hamlet of Rydal or the village of Grasmere, both of which have strong connections to the Romantic poet William Wordsworth. 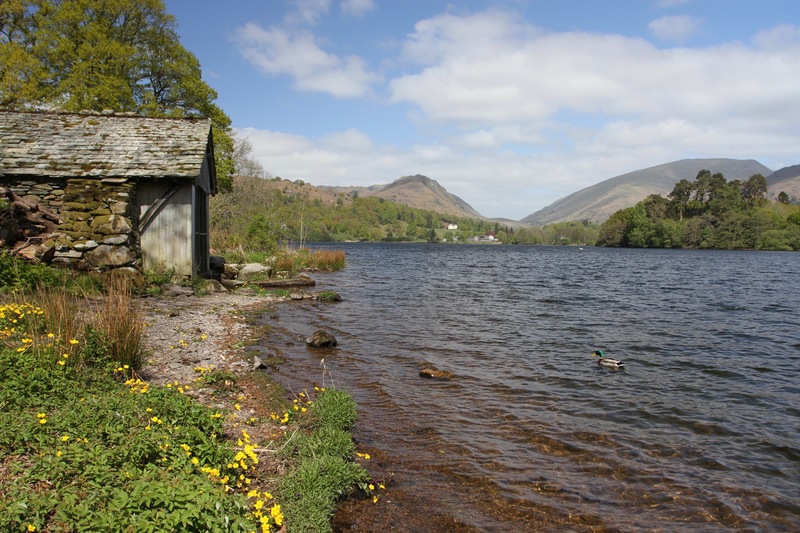 I’d decided to visit Grasmere, where I’d lived for three years in my twenties, but which I hadn’t visited for several years. 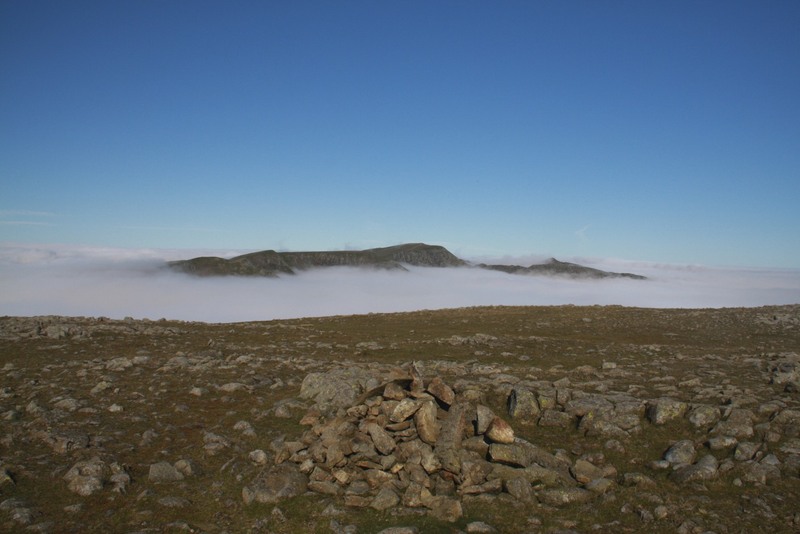 On a good day, the views from Fairfield are spectacular. 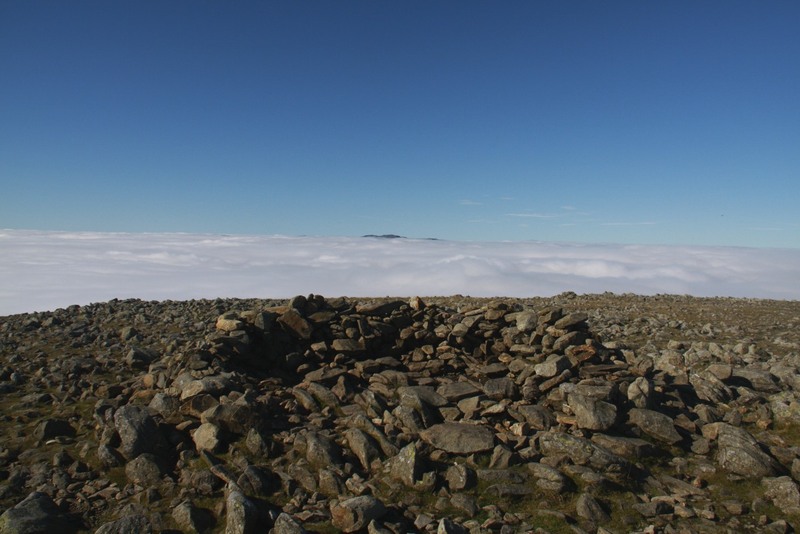 With fine weather, the summit of Fairfield offers 360º panoramic views around the Lake District, and even to the Irish Sea. 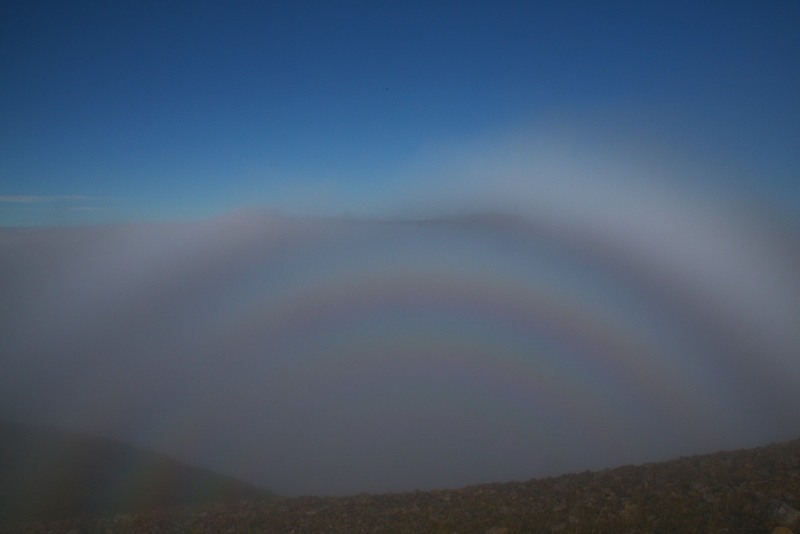 This was not a good day, but the views that awaited on top of the mountain were remarkable for other reasons. 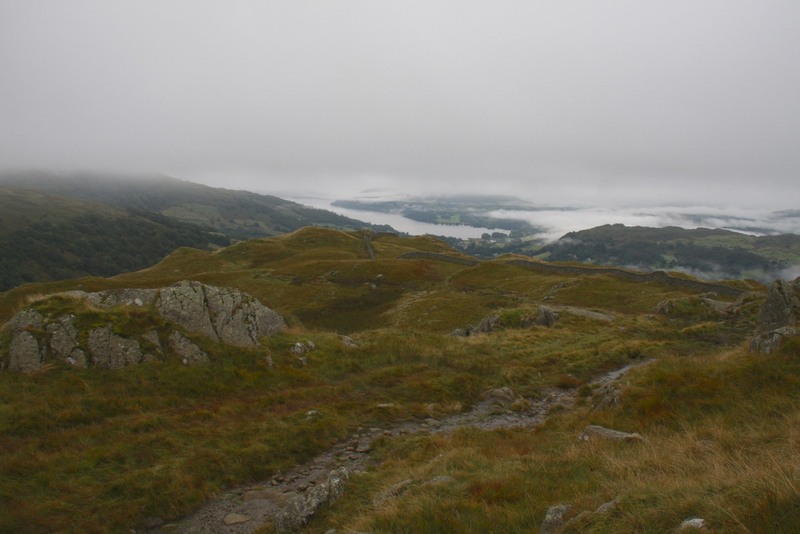 I started from Ambleside early in the morning, the sky was overcast, and, despite the weather forecast claiming the day would improve, it definitely felt as if rain was in the air. 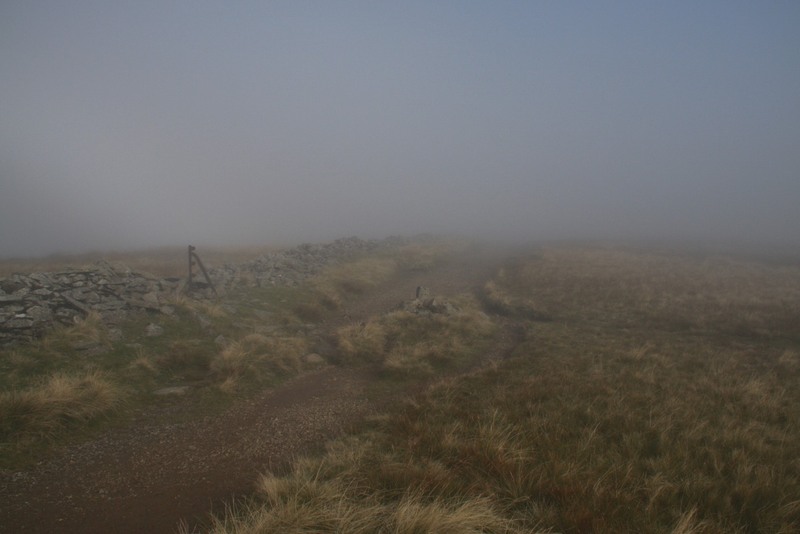 As I began the long ascent over the fells, the cloud descended and I quickly found myself walking through a muted landscape, unable to see more than 20 or 30 metres ahead. Strangely, there was very little wind, in fact none at all, and although I was getting wet from the moisture in the cloud, it didn’t rain. Walking in weather like this is pretty unusual for this part of the country. Without the sound of wind you can hear distant sounds: birds singing, sheep bleating and water cascading down rocks into the valley below. 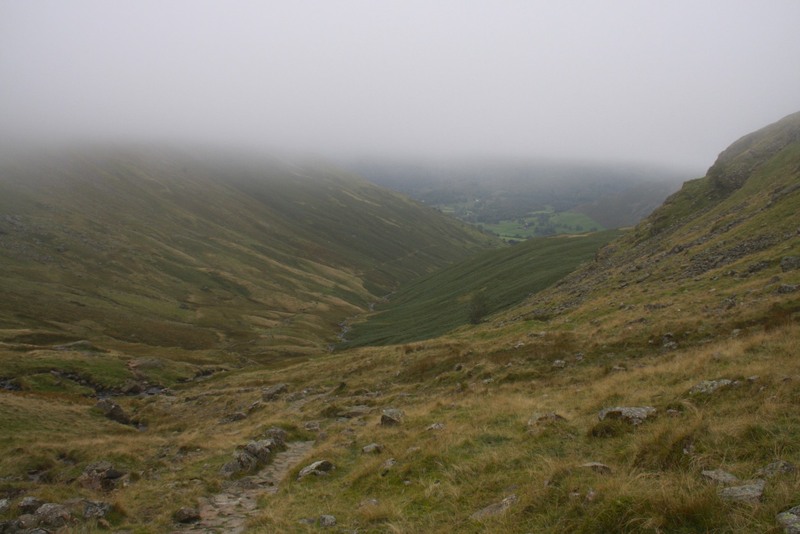 I’d pretty much given up on seeing anything of the surrounding countryside, or getting the views from Fairfield. 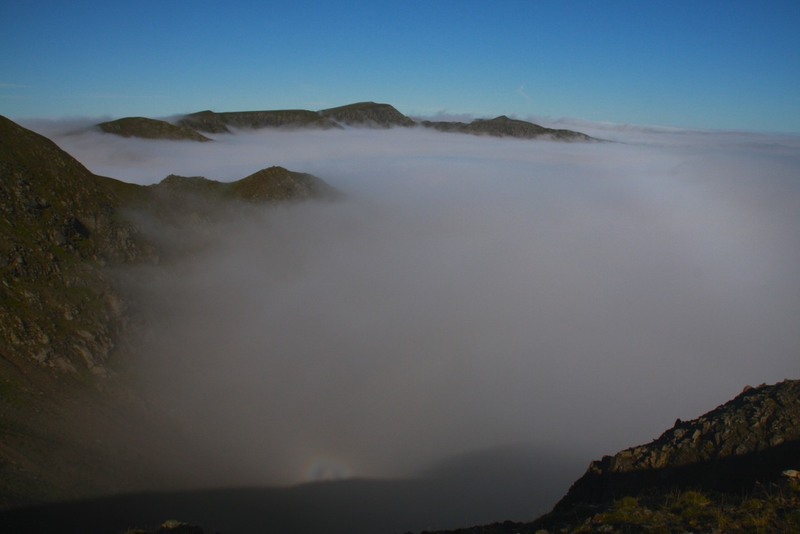 However, as I walked over Dove Crag it was suddenly illuminated by the sun. 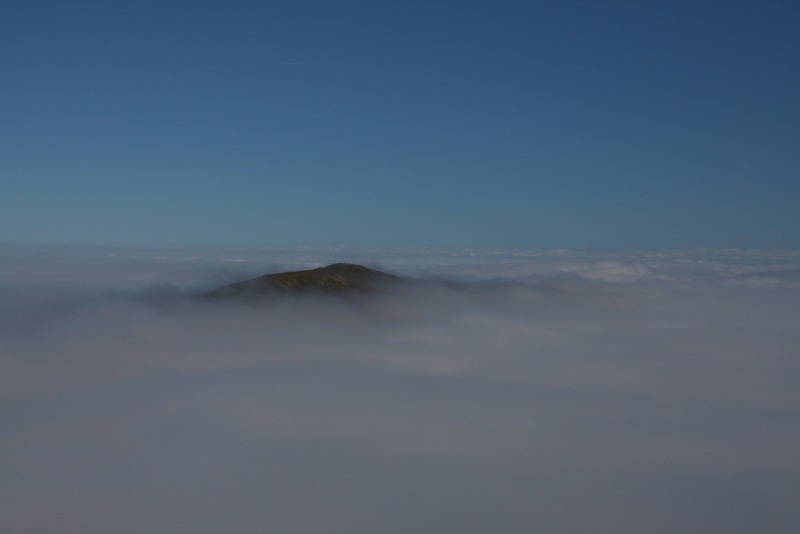 I was still shrouded in cloud, but it was better weather. 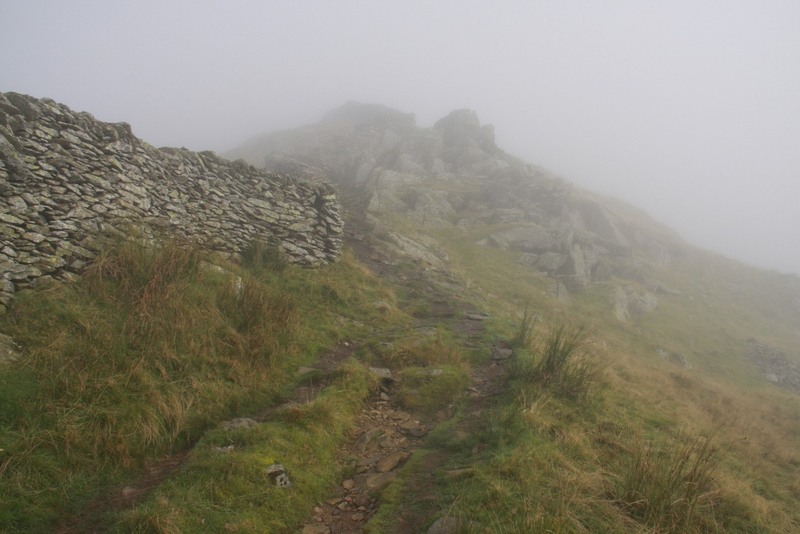 Pushing on towards Hart Crag, I heard a noise behind me; with my heart pounding and imagination running wild, a fell runner (one of those crazy people who run over mountains for fun) emerged out of the mist and ran past me with a cheery, “Bloody horrible weather.” As he disappeared back into the mist, I set off again, and not long after found myself walking above the clouds. 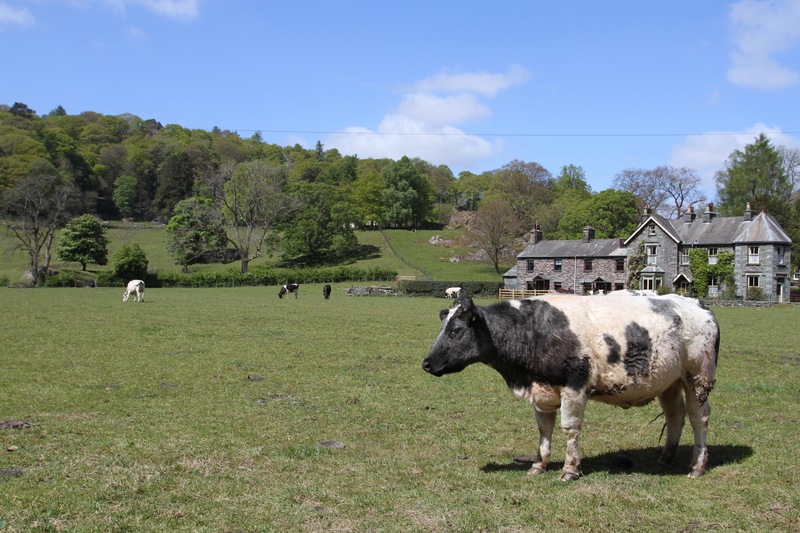 It was one of the most extraordinary experiences I’ve ever had in the Lake District. I must have walked here hundreds of times, but I’ve never experienced anything like it before. 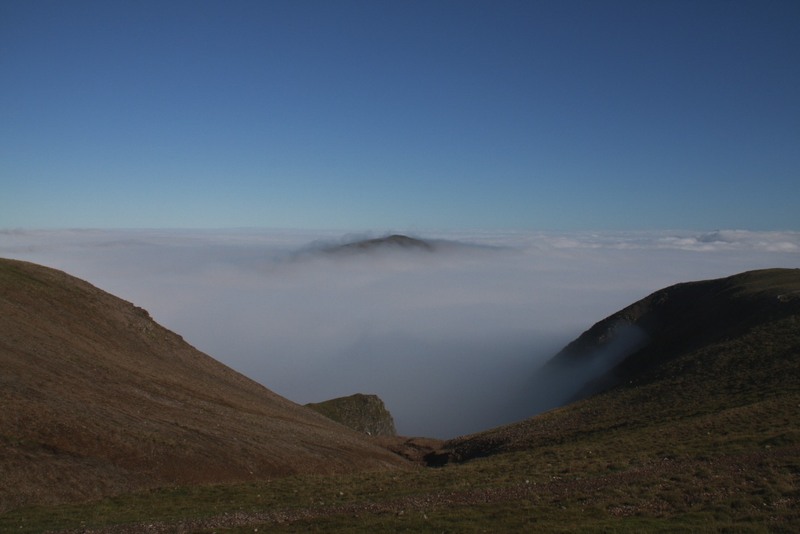 As far as the eye could see, there was nothing but blue sky, white cloud and the occasional top of a mountain sticking through the cloud. 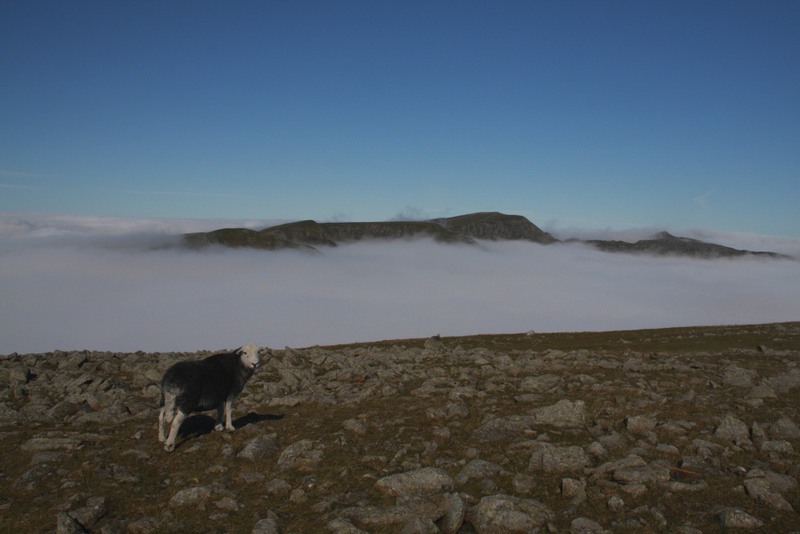 When I finally reached the top of Fairfield, there was one other person there. Neither of us could quite believe what we were witnessing. 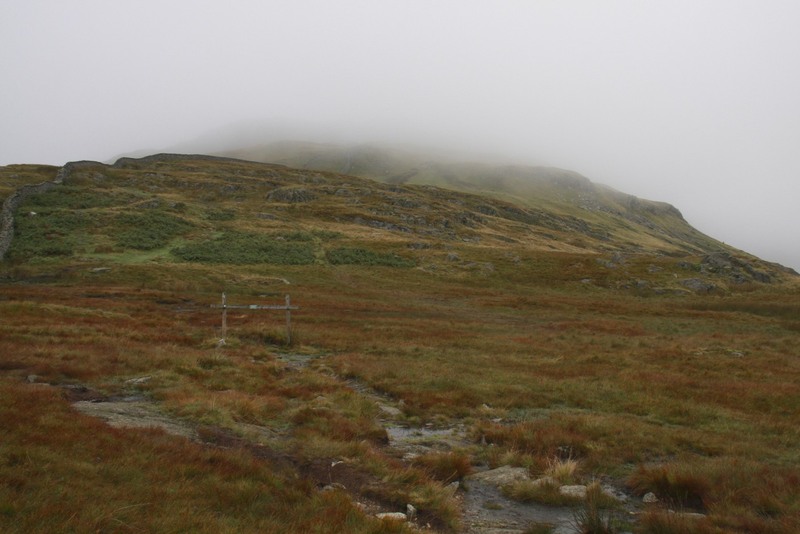 He said he’d set off with three others, all of whom had turned back convinced the weather wouldn’t improve. 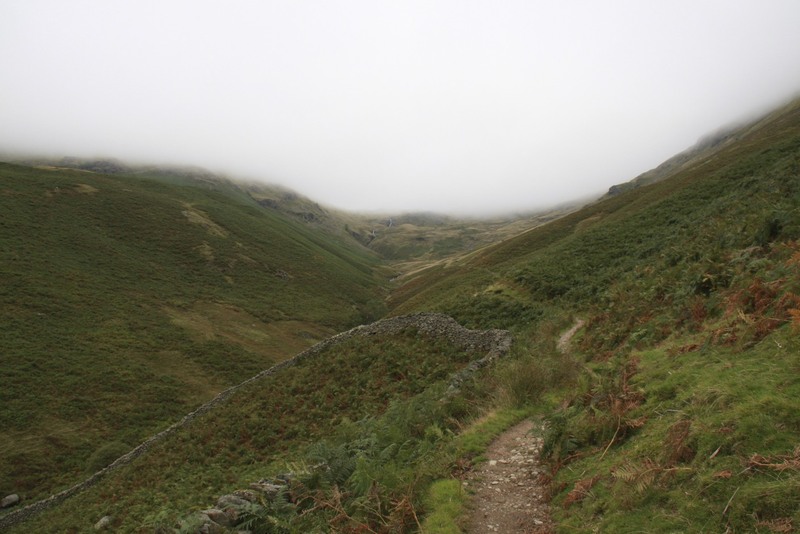 Technically the weather didn’t improve, but we’d walked through it and found ourselves above it. Funnily enough, the sun was so hot it felt tropical, and I actually got sunburned. Which is as ridiculous as it sounds. 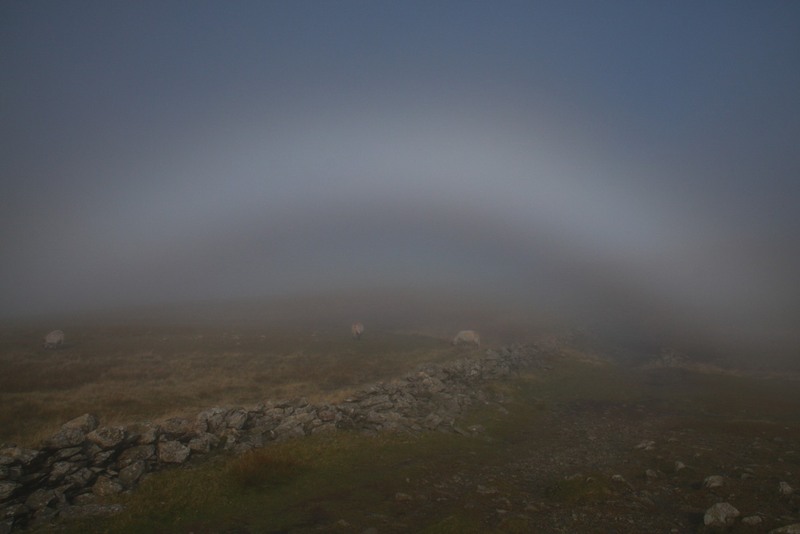 As I started to descend, I spotted a rainbow in the cloud, which created a Brocken Spectre, something I’d not seen before, but which is simultaneously beautiful and eerie. 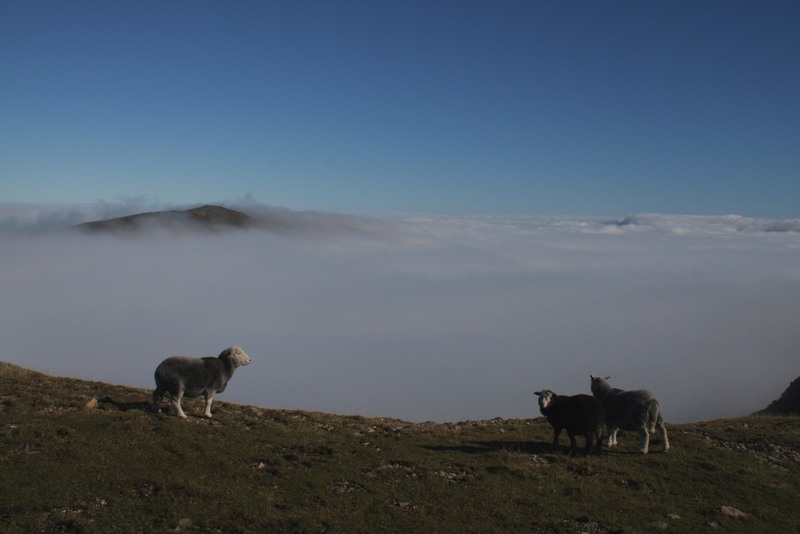 It was a truly magical experience, shared with a few sheep and an absence of noise. 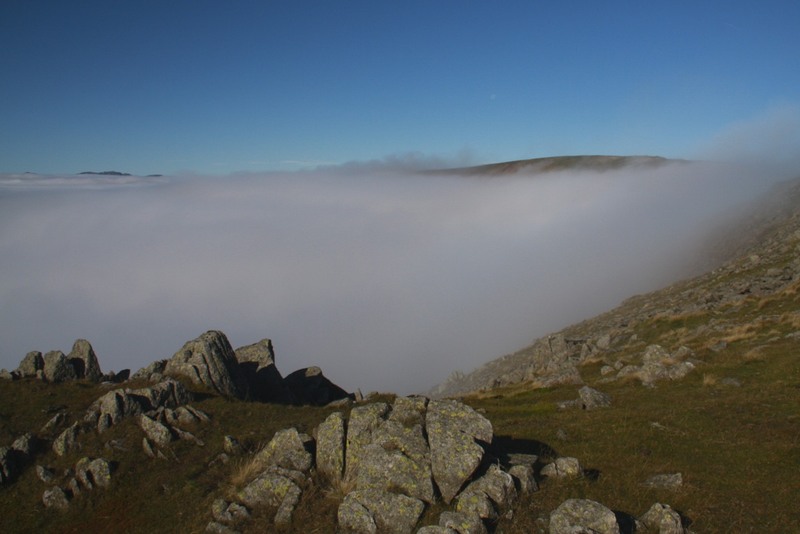 Descending, I quickly found myself shrouded in cloud again, and visibility returned to being negligible. I came across several people coming up the hill, all of whom were happy to know what awaited them when they reached the top. 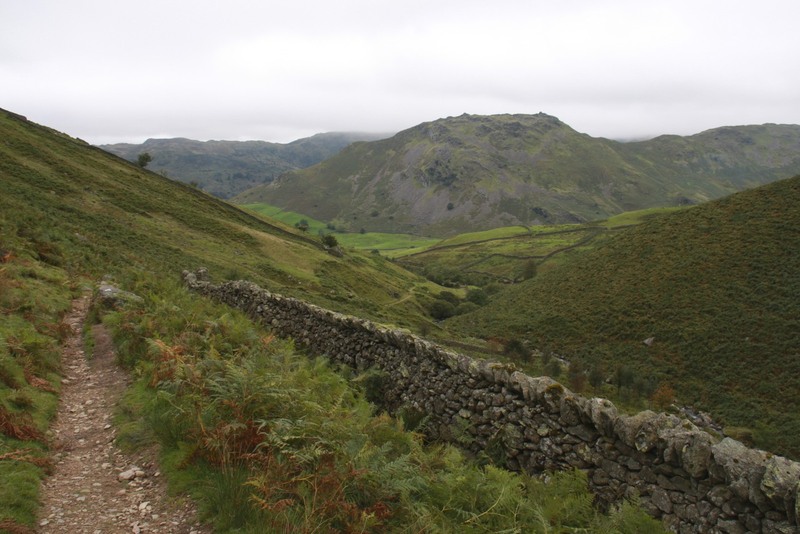 I trundled onwards towards Grasmere and finally dropped out of the bottom of the cloud with views towards Helm Crag, which sits at the northern end of the Vale of Grasmere.